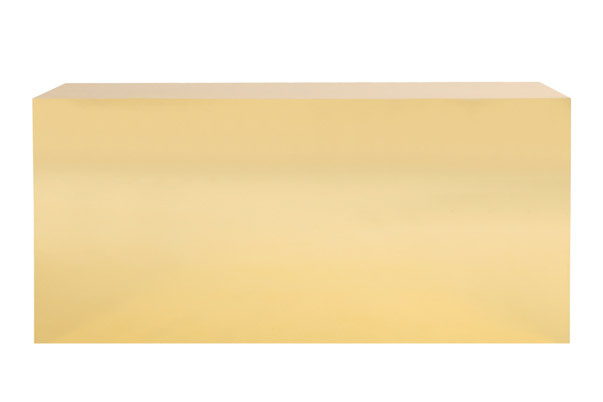 The Gold Bar is a custom designed bar made of mirrored gold laminate and includes a shelf for stocking. The Gold Bar is one of the components of the Gold Bar Grouping. We also have the matching Gold DJ Booth, Gold Coffee Table and Gold End Table.